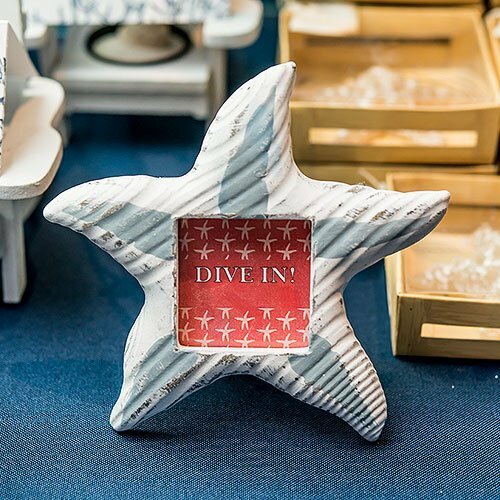 Seaside wedding guests will be thrilled to receive these fun starfish-shaped frames as wedding keepsakes. 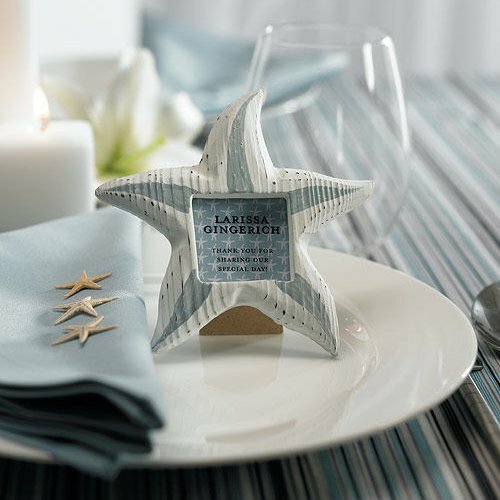 Use them as place card holders or put a photo of the bride and groom in each frame. 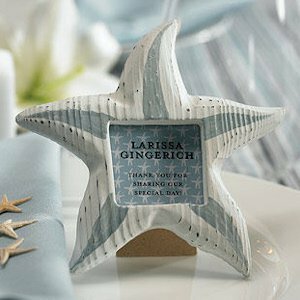 These wooden starfish photo frames are a unique thank you gift for your guests sharing your special day. Sold in sets of 8. Minimum order of 2 sets is required. 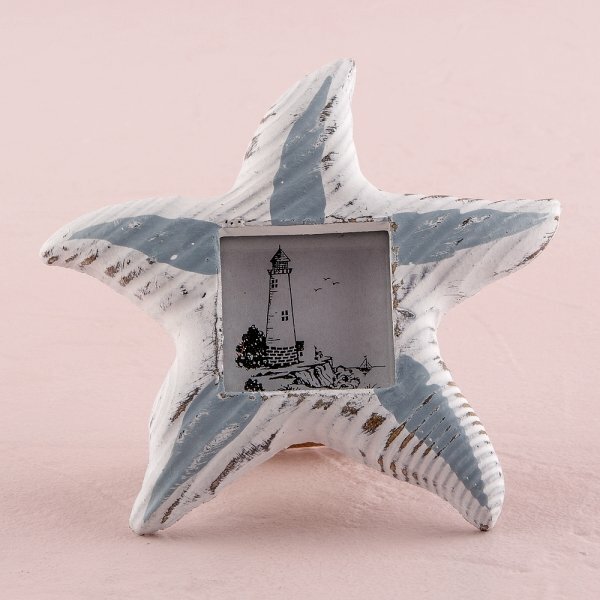 These starfish picture frames favors each measure 4 3/4" H with a 1 1/2" opening.